Santorini Girl started as a travel blog about Santorini, Greece – following my daily life and experiences whilst living abroad. Since then it has grown into a brand that represents my way of living, travelling the globe and taking inspired action. Santorini Girl is about my quest as a young woman not only to travel and but also to reveal my path of growth, life experiences and making my vision of life happen. 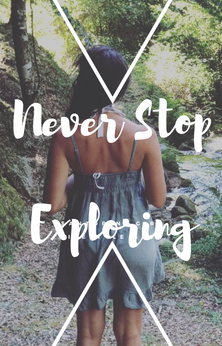 By sharing my story I hope to inspire other women to travel, explore and do the same.